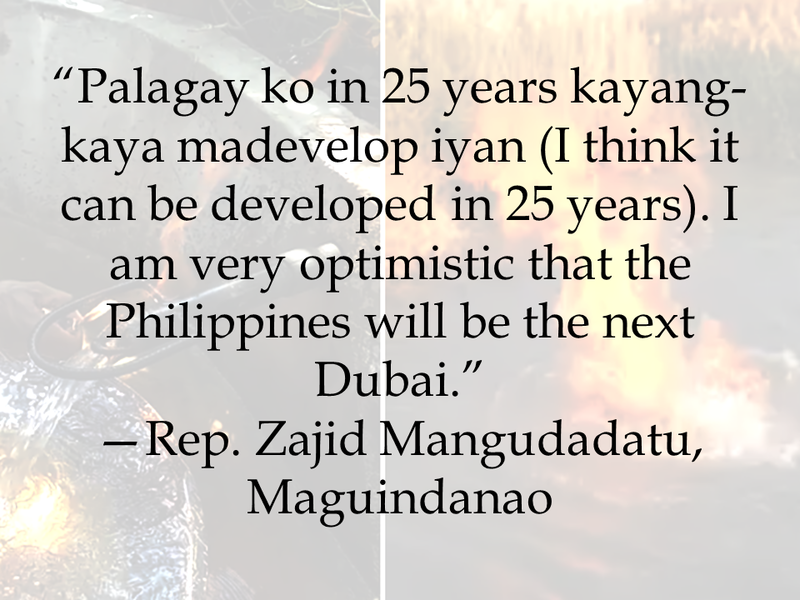 THOUGHTSKOTO Thoughtskoto : Natural Gas From Maguindanao Could Make The Philippines The Next Dubai? 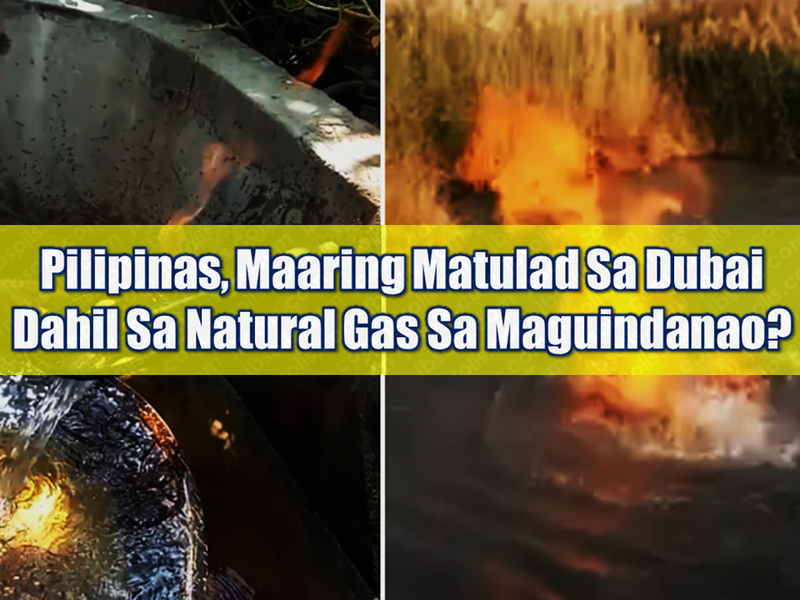 Natural Gas From Maguindanao Could Make The Philippines The Next Dubai? The Philippines has been known for undeveloped natural resources which experts say could bring enormous riches to the country. Just recently, President Rodrigo Duterte led the inauguration of the Alegria Oil drill in Cebu which can produce around 400 barrels of oil per day. This is expected to boost the income of the region and the country as well. Another prospective natural gas deposits also found in Maguindanao's Liguasan Marsh. 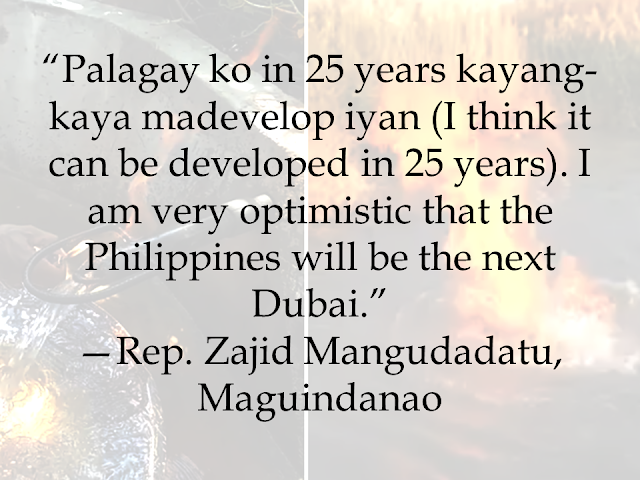 Maguindanao Rep. Zajid Mangudadatu said if fully developed, the natural gas deposits could make the Philippines the next Dubai. A gas field in the heartland of the decades-long fighting in the south has become a source of cooking gas value estimated at $1 billion is yet to be developed and give riches to the region. According to a government survey, Lake Buluan in Maguindanao's Liguasan Marsh contains 68 billion cubic feet of gas as well as oil and coal if deeper digging is made. Maguindanao Rep. Zajid Mangudadatu said the government distributed cooking stoves to the residents so that they can make use of the methane gas otherwise, it will just be wasted. The Liguasan Marsh area has been a witness of the most dreadful of clashes between government troops and terrorist rebels, including the Mamasapano clash in 2015 that killed 44 SAF operatives and scuttled peace negotiations. Residents of Maguindanao are counting on the passage of a self-rule law in the south enabling the full development of these gas reserves which may surely benefit not only Maguindanao but the whole archipelago.